My god, I must have one of these! 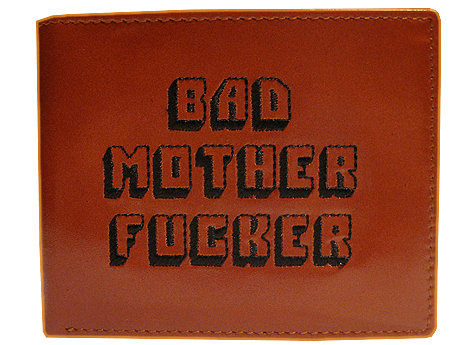 Remember the scene in Pulp Fiction where he asks the robber to reach in the bag and get the wallet that says “Bad mother fucker”? Well, these guys actually sells a replica.